A memorial is a very personal creation and becomes a visible memory of the person who has died. 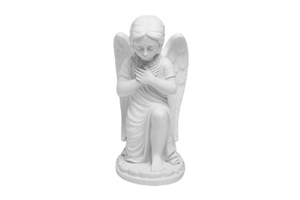 Grave Memorials can range from a small plaque to mark the grave, to a very individual headstone with grave surround or statue. 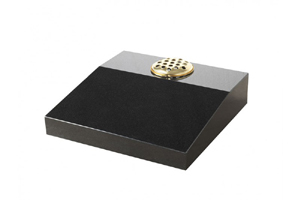 If you plan to bury your loved one's ashes, you may choose to mark the burial with a plaque. 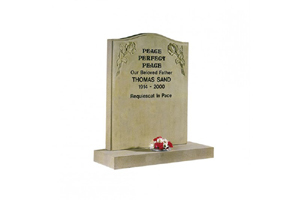 Some cemeteries restrict the type of grave memorial you can erect - we can advise you on any restrictions that apply where you wish to mark the grave. Also there is usually a significant time delay until you will be allowed to erect the memorial ( usually 3 months), to allow the ground to settle around the grave, so there is absolutely no need to rush into a decision. 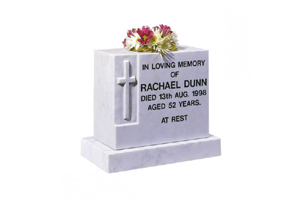 We can supply memorials in York Stone, Marble or Granite in a variety of shapes and sizes. The prices vary considerably, depending on type of stone, size and style. We can talk you through what may be best for your needs and budget. Here are some types you may wish to consider. 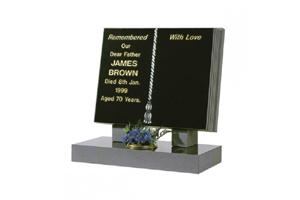 Inscriptions can be plain lettering, gilded or coloured. A simple inscription up to around 100 characters is usually included in the price of the memorial. 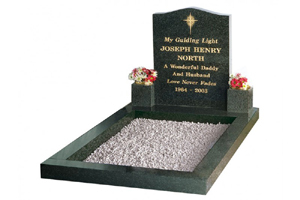 Personal designs and images can also be etched onto the stone. The cost will vary, depending on the size, complexity and type of stone. In order to erect a memorial, you will need to pay a fee to the cemetery, to secure your loved one's rights to that plot. The cost can vary widely, depending on the church or local authority's policy. You don't have to decide at the time of the funeral if you wish to erect a memorial, but you must secure these rights before instructing us on your chosen memorial.